Ball Bungee cords 6" black. Bungee cords are useful for hundreds of applications. If you feel our S&H prices are too high, we can provide you weight the item's weight so that you can confirm the prices for yourself. Ball Bungee cords 9", black. Bungee cords are useful for hundreds of applications. Ball Bungee cords 9", black. Bungee cords are useful for hundreds of applications. Nail Guns & Nails. Paint & Spray Guns. 1M, 1.5M, 2M, 3M, 4M, 5M. 6M, 8M many sizes available! Tent Stakes. 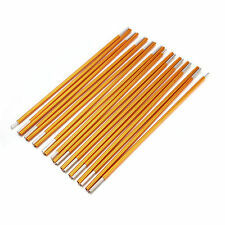 10 Tent Stakes. Galvanized Steel. 5/16" Thick. 1.100% Waterproof, 1500mm water repel. 1.100% Waterproof, 1500mm water repel. 2. Ideal for sudden downpours. 3. Fit perfectly for weekend trip, long trip camping, backpacking. 4. There are 6 Tie Out Points to make multiple config 5.Nylon Ropes & Qualified Metal stakes. 6.Designed Stuff Bag for easy carry and accessories. 7.It's going to be 14ft long if you hang it with Diamond Form. But if you set it up in Rectangle (A-Frame) Form, it's 10 feet long. Most Hammocks are about 9-10 feet long. So it should work fine. Features: Adopts high quality material which is durable, waterproof, rot resistant and mould resistant. Treated for eliminating shine or glare. Lightweight and quick drying, also can be used as a great toy for children who love to play hide and seek. Well blended with surroundings especially grass, leaves and trees to achieve invisible effect. Working great for hunting and shooting, building shelters, etc. Specification: Material: 150D Oxford Fabric Color: Jungle Camouflage Size: approx. 3 x 5m / 9.84ft x 16.40ft Net Size: approx. 10 x 10cm / 3.94" x 3.94" Package Weight: approx. 500g Package Includes: 1 x Camouflage Net Only. Tyvek® is puncture, tear, and abrasion resistant. Your Tyvek sheet is cut & folded. 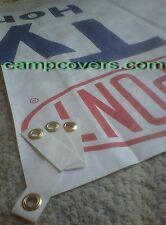 Picture #5 shows 1 ultralight Tyvek Anchor Loop. 100% Dupont Tyvek. Each Tyvek Anchor Loop weighs less than 1 gram. 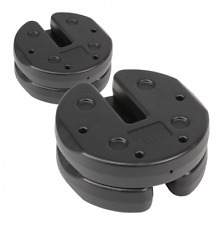 20x Tent clamp. Color: Black. MILITARY 97403 13227E0136 not all look like the picture, not new, but never been used. 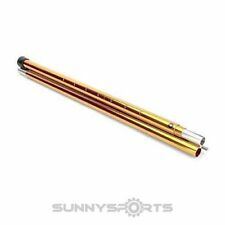 16 -12 INCH TENT STAKES, PLATED STEEL, EXCELLENT HARD GROUND PENETRATION! 1 x Camouflage Net (4x6m) (with string net backing). Good for Car-Covering, Bird watching, Camping or Hunting, shooting, Camping, Photography etc. Color: Camouflage. Treated to eliminate shine and glare. Waterproof & UV resistant 190T polyester used as a shelter or a beach tent. Model: Instant Tent. 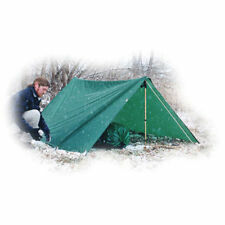 1 x Tent (include the accessories). Ending Soonest. Large enough for up to 5-6 people Ideal for family camping and outdoor activities such as hiking & picnic. Manufacturer's Part Number: 14092. Who We Are. Simply put, we are outdoor enthusiasts who happen to have a warehouse full of top quality gear - the selection that makes it easy for you to get what you want. These bungee cords can be use on multi- purpose uses. 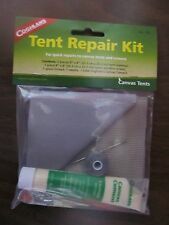 Camping accessory for on-the-spot repair. Coghlan's Ltd. is recognized as the world leader in outdoor camping accessories. Coghlan's 860BP Rubber Repair Kit Rubber repair kit. The tent tarp is versatile and durable, making it an excellent shelter for your hammock.Provide better ventilation.Effectively blocks UV. 1 Tent Tarp. 6 Tent Nail. 6 Tent Rope. 210D thickening oxford fabric polyester fabric enable good tear-resistance and excellent waterproof capabilities ,providing generous protection from rain and uv, protecting you well. 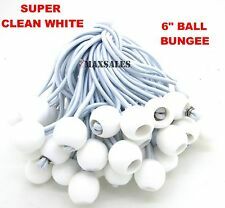 Ball Bungee cords 6" White. Bungee cords are useful for hundreds of applications. If you feel our S&H prices are too high, we can provide you weight the item's weight so that you can confirm the prices for yourself. 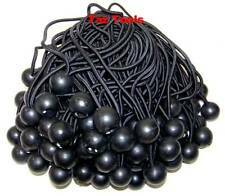 Ball Bungee cords 9" black. Bungee cords are useful for hundreds of applications. If you feel our S&H prices are too high, we can provide you weight the item's weight so that you can confirm the prices for yourself. Windy weather is no longer a problem with this sturdy, ergonomically designed patio umbrella base. Each bag can bear 45 KG (99 lb) without filler. And fillers can be self filled with sand, buckwheat and so on. (LOT OF 2) Nite Ize CamJam Cord Tightener 4-Pack w/ BONUS Cord, NCJ2-03-01, NEW! 5 out of 5 stars - (LOT OF 2) Nite Ize CamJam Cord Tightener 4-Pack w/ BONUS Cord, NCJ2-03-01, NEW! 2 product ratings2 product ratings - (LOT OF 2) Nite Ize CamJam Cord Tightener 4-Pack w/ BONUS Cord, NCJ2-03-01, NEW! Bungee sizes are never exact. Black bungee. Also available in other. quantities, sizes. (5) MAKE YOUR OWN TENT FLY, BIVY OR TARP. 3) IT CAN BE USED AS A TARP TO KEEP YOUR GEAR DRY. THIS TYPE OF TYVEK CAN BE PAINTED OR DYED. 1) IT IS USED FOR TENT FOOTPRINTS OR GROUND CLOTH/SHEET. 4) BUILD A WIND SCREEN FOR YOUR CAMP STOVE WITH THIS FABRIC.